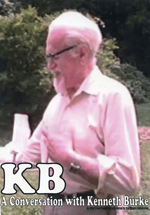 KB Journal is planning a special issue for Spring 2006 devoted to Ecocriticism and Kenneth Burke. The guest editor for this issue will be Robert Wess. Please send inquiries and submissions to rswess@peak.org, or to Robert Wess, Department of English, Moreland Hall 238, Oregon State University, Corvallis, Oregon 97331 5302. Indicate if you would also like your paper to be considered for a panel on Burke and Ecocriticism at the upcoming Conference of the Association for the Study of Literature and Environment, June 21-25, 2005, Eugene, Oregon. Papers included in the panel will be reviewed for inclusion in this special issue. The deadline for panel proposals is February 1, 2005, so proposals would have to get to Wess at least a few days before that date. In 1970 Burke enjoyed public acknowledgement of the accuracy of his earlier prediction about ecology, when a Fortune magazine article observed, "[W]e may assume that most predictions put forward in 1937, like those of other years, would now be worth recalling only as examples of fallibility. But at least one prediction published in that year has since come to seem exceedingly perspicacious. It appeared in a book by Kenneth Burke, a literary critic. `Among the sciences,' he wrote, `there is one little fellow named Ecology, and in time we shall pay him more attention.'" issue offers a timely and valuable opportunity for inquiry into both the value of Burke for ecocriticism and the value of ecocriticism as a standpoint from which to read Burke. An online publication, KB Journal will publish original scholarship that addresses, applies, repurposes, or challenges the teachings of Kenneth Burke, which include but are not limited to the major books and hundreds of articles by Burke, as well as the growing corpus of research material about Burke. A special feature of the online format is that authors take part in online conversations about issues raised in their publications. Once the conversation about a publication pauses, the author (or coauthors) submits a rejoinder, which functions as a second publication and continuation of the conversation.